IPMS SALISBURY is your local plastic modelling club. It meets every First and Third Tuesday each month at Dennis Marsh House, The Scout hall on Cold harbour lane, Salisbury From 19.15 to 21.30 new members welcome. Members Picture Gallery, Trophy Shield and Newsletter article- click here. 2 Febuary 2019 Sadly FLIKR, the picture hosting site that I use has been taken over by and limits impossed on the number of pictures I have saved. I will have to remove pictures from the articles on this site, and you may find references to a picture but with nothing to see, or a link that no longer works. I am very sorry but it is once again down to companies spotting the potential to get money from something that was working perfectly before. I intend to keep the galleries of our club members, but some show galleries will disappear. 23 April 18 Happy St George's Day. IPMS Salisbury had a table at Model Kraft held at Milton Keynes. Pictures of the event are viewable here. 26 March A bit of a look back today, caused by those odd moments when things are not quite as they seem. 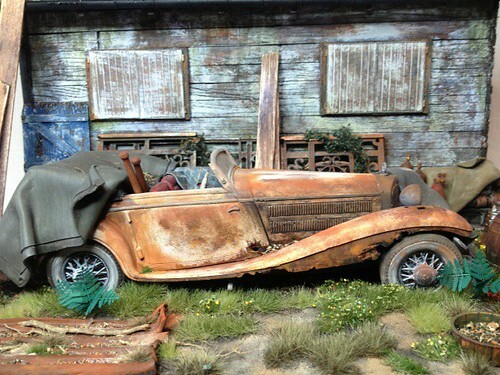 First up a picture that you may remember, Richards winning entry for a previous Revell contest, his distressed Merc. 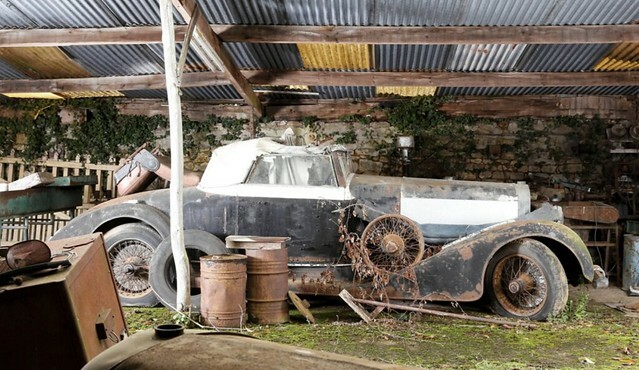 Well with life imitating art i've followed his picture with a photo from the 'Business Insider' of a real life Mercedes barn find that looks very similar. 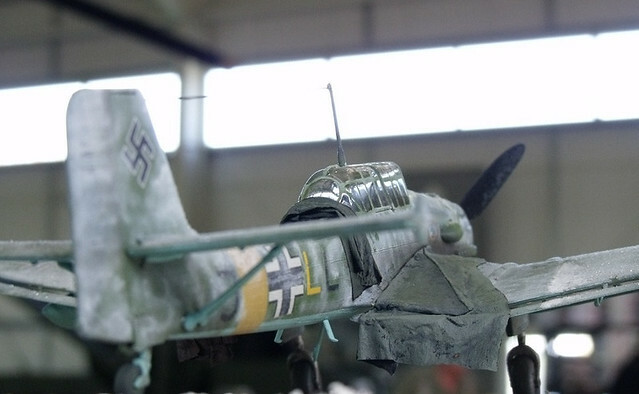 And lastly a simple picture of my JU87 Stuka Diorama taken during a show. The hall back drop seems to be in scale looking like a hanger diorama. Enjoy. 19 Feb 18 Additions to Mick Ellis photo Album on Flikr. Congratulations to Richard Clarke on winning the latest 'Flashmod' from which a more detailed report will follow. The event was extreamly enjoyable at a great venue. 14 Jan 18 Calander of Events updated until April and forcast of Theme nights published. I've been a member of Salisbury IPMS for about 3 years but really started kit building when 17 years old. I began modelling armour but now find figures and rusty autos to be my main interest. The Revell 540k Mercedes is my favourite model so far. I've been a member of Salisbury IPMS for 15 years joining with Peter. I am hugely interested in US Naval aviation from the 1950s onwards however my first model at 9 was the classic blue plastic Airfix Spitfire in a poly bag. My favourite model is the 1/48 Skywarrior that I invested a lot of time and scratch building in. 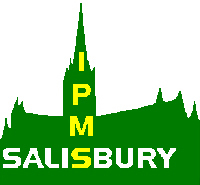 I've been a member of Salisbury IPMS for 4 years. I find all subjects interesting but especially enjoy 1/48 British post war jets. My first model as a boy was an Airfix Golden Hind ship and staying with ships my favourite build so far was Tamiya's 1/350 Enterprise as it took so much time to complete. I really enjoy the club and seeing the varied models members are building, it is great for encouragement. Becoming a member of IPMS Salisbury really increased my build rate as the themes and various challenges help keep me focused and seeing the work of others is a great stimulus. I enjoy armour modelling and building dioramas but also produce a lot of Sci-fi models too. I like mixing models with photography to get realistic pictures. My main interest is Fleet Air Arm Aircraft though I have been building since I was seven starting out on Matchbox kits as a boy in London. I now live in the Chalk Valley and combine modelling with a role in the Air Cadets. I've been a member for about 8 years, starting out with an interest in modern armour but really specializing in Anti Aircraft vehicles many of which are resin kits. That said if something takes my interest i'll build it and Tamiya's Mogami warship is one of my favorite builds. I had been building and painting 28mm wargame figures for a long time and wanted a change of pace. Since joining IPMS Salisbury I have worked on a number of Soviet projects in various scales. I have been a Long time member of IPMS Salisbury and was the club Chairman for a number of years. I enjoy the mix of members and seeing what they produce. My main interest is modern armour especially vehicles of the IDF. I joined IPMS Salisbury only recently after learning about it from the local model shop. I am a keen AFV builder but have found club membership has spurred me on to do more challenging builds with a diorama my next project. I have been a Long serving member of IPMS Salisbury and hold the position of Club Treasurer. I mostly make aircraft, though my output is slower than I'd like. I joined the club after meeting Bill Allan, I had been a lone modeller until then but now enjoy the friendly club. We have competitions ( my Arado E555 for the Revell build in 2016 is my current favourite) but the members are not competitive or elitist which I really like. It's well worth the 45 min drive I take from Somerset. My modelling interests span Japanese aviation, Luftwaffe and 1/35 Armour up to 50's. My first kit was an Aurora B47, but Tamiya's 1/48 Japanese Seiran is my favourite built model so far. In 2016 I shall be moving away from Salisbury after 17 years as Secretary but look forward to continued modelling in Norfolk. To encourage a change of build direction IPMS Salisbury has a number of theme nights planned for 2019. Its a good way to try something new, and you can interpret the theme as tenuously as you want. Each Year IPMS SALISBURY hosts it's own in house Model Contest in memory of past members.